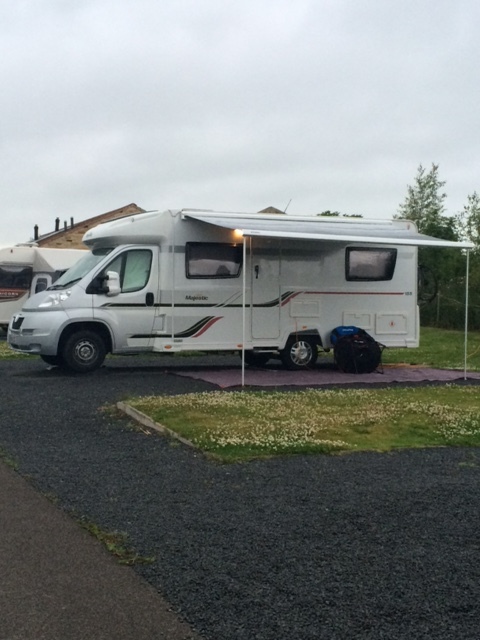 The Caravan Club Site at Barnard Castle, County Durham in North East England was an absolute dream of a stay after our previous stay at Appletreewick. Nuff said! 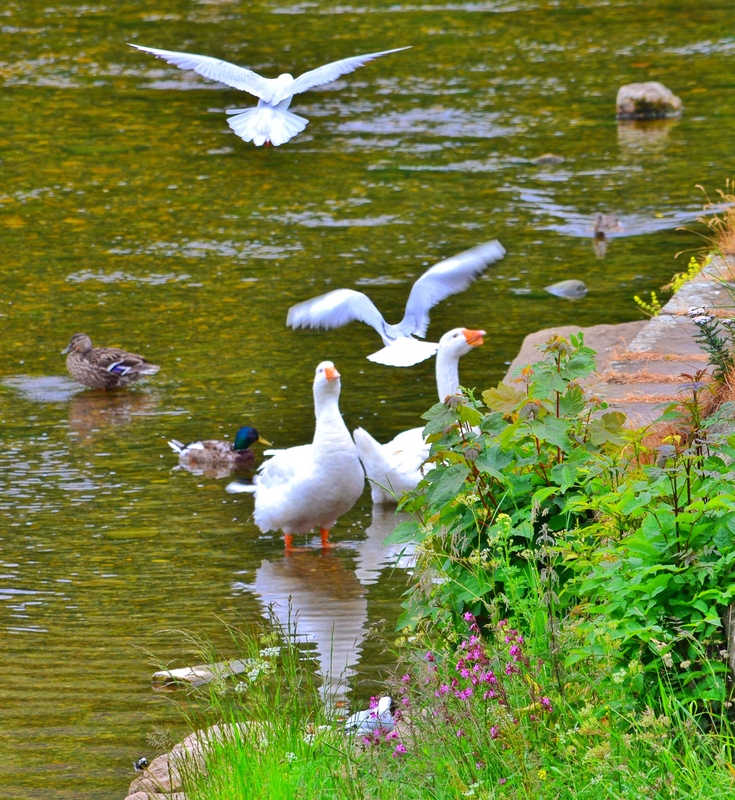 This site is in a great location just approx.15 minutes walk into the town centre either via a woodland path or a busy road with a safe walkway along the grass verge. It was peaceful and spacious on site, with good facilities, and we were surrounded by many friendly and chatty fellow campers. 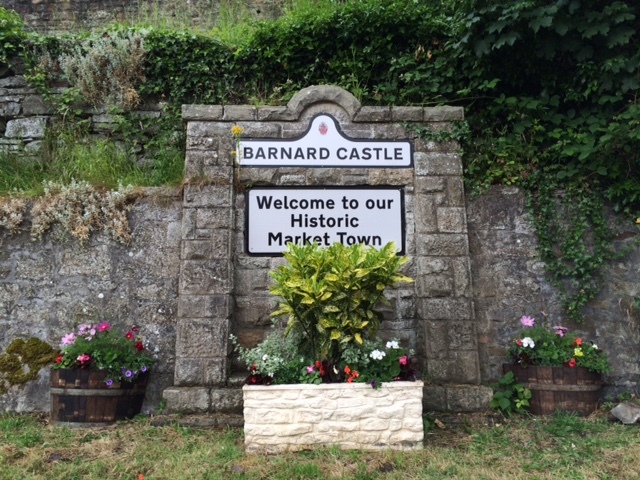 We were welcomed with slight drizzle for most of the first day so had a walk into Barnard Castle that afternoon/evening. We took the woodland path there and the main road back afterwards due to a little mud slide over part of the woodland path following previous heavy rain, which could’ve been precarious in bad light. 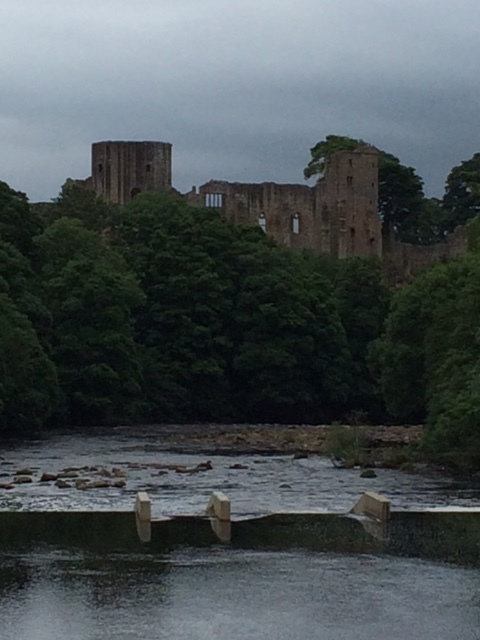 Barnard Castle, or “Barney” to the locals, is a market town that stands on the River Tees and is steeped in history. Once at the bottom of the road via path or road, you walk over a footbridge and are rewarded with a beautiful view of Barnard Castle. It looked particularly impressive beneath a brooding sky that evening. 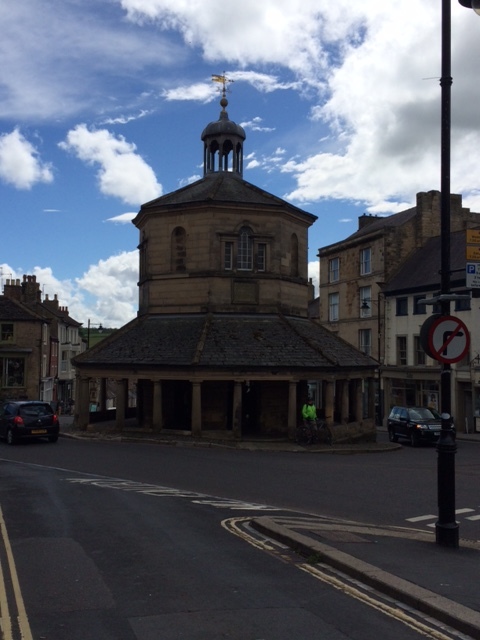 During our stay we had a good meander through the town and attempted a cycle ride (unfortunately without preparing first!) which led us along the river bank and turned into an endurance test along an often very narrow riverside banking with a steep climb at the end with our bikes to get back up to civilisation. 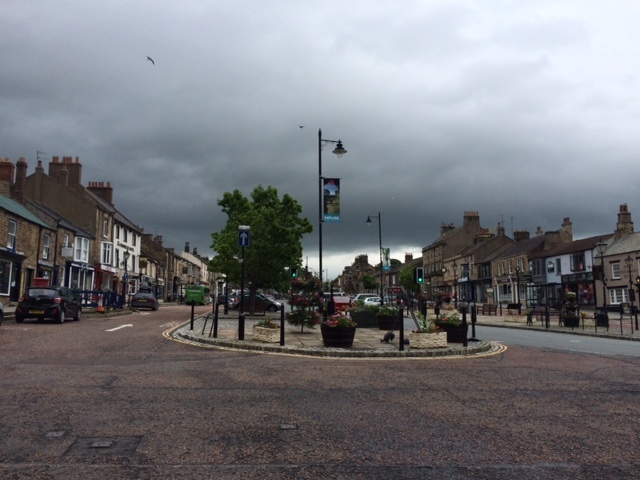 It was fun though and we worked off MANY calories allowing us to order a fantastic curry from Spice Island on market place in the town centre which we enjoyed back at Jolly. Truly delicious food and ridiculously generous portions! 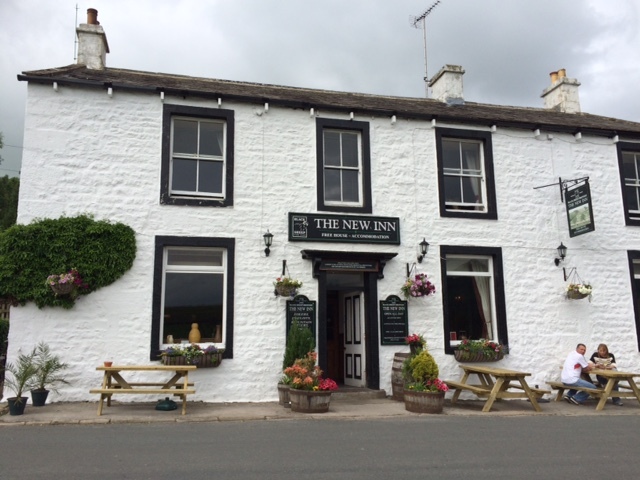 We also tried a couple of the local pubs during out stay – The Turks Head, The Three Horseshoes (good food), and the town’s oldest pub The Golden Lion where we spent a couple of hours enjoying the choice of ales and chatting to a friendly geordie couple. Bri outside the Old Butter Mart in the town centre. 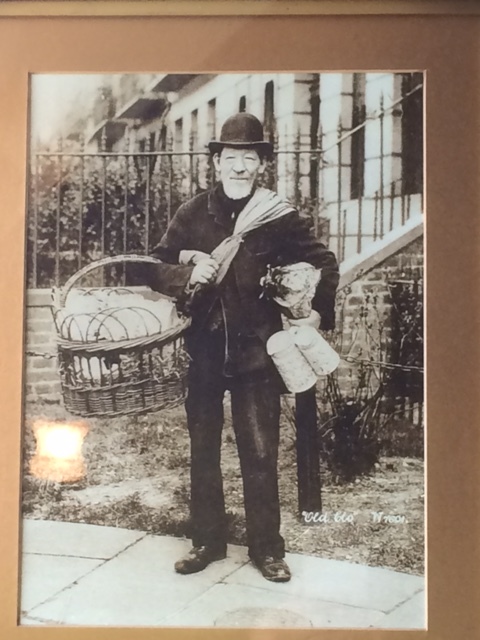 This picture hangs in the Turks Head pub and we are convinced it proves Sir Ian McKellen has lived before! A good first little trip to the North East area for us and somewhere we will gladly return to in the future. Our next adventure is to Ripley in Yorkshire as we have a Segway experience booked at Ripley Castle so we’re going to make a trip of it. 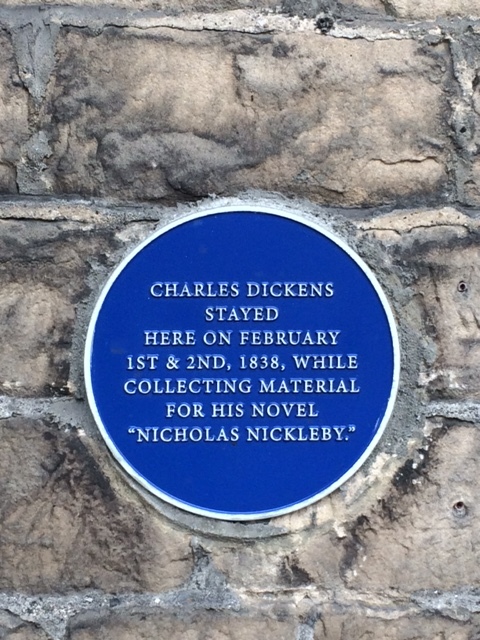 It’s reported to be one of the most picturesque villages in Yorkshire so we look forward to seeing it. 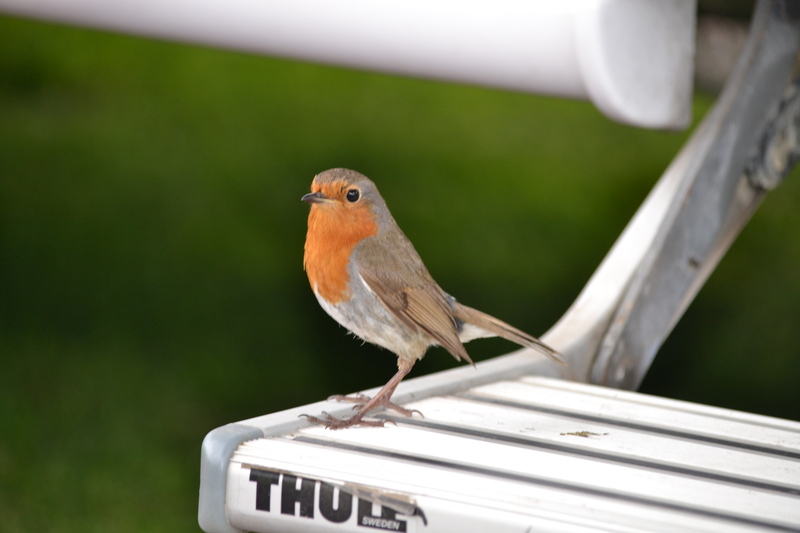 We recently had our first less than impressive camping experience … some very good points to the trip too though! 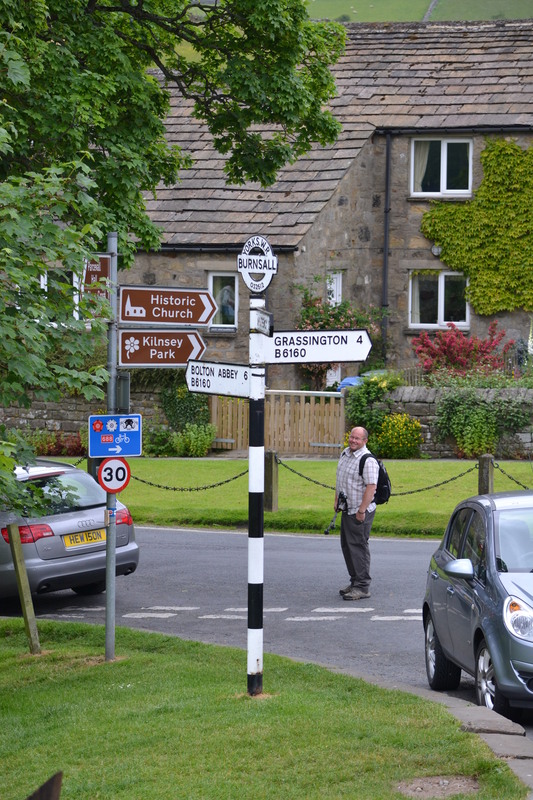 We stayed for 2 nights at the Mason’s Campsite in Appletreewick, North Yorkshire. 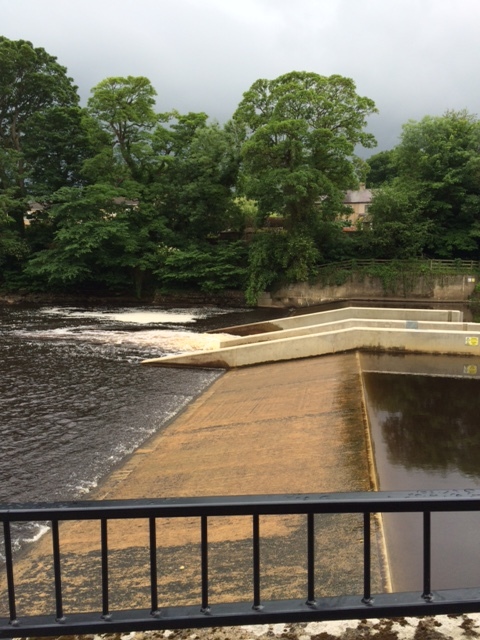 It’s a private site in the heart of Wharfedale with the River Wharfe running along the bottom of the site. In hindsight, a check of the reviews prior to the trip would’ve been a good idea and would’ve informed us that it isn’t one for our tastes, particularly at weekends. Unfortunately, we just touched on the weekend, having spent a pleasant Thursday afternoon and evening and Friday afternoon there before all hell broke loose. It’s quite a thing to leave a tranquil, idyllic, riverside site behind as you head out for a late afternoon walk for tea and then return to an inner city car park with cars & tents crammed almost on top of each other as far as the eye can see. First things first though, we had a good journey in. The sat nav took us along quite a narrow road at one point but thankfully there were plenty of passing areas. People towing a caravan would’ve struggled so check your route carefully. 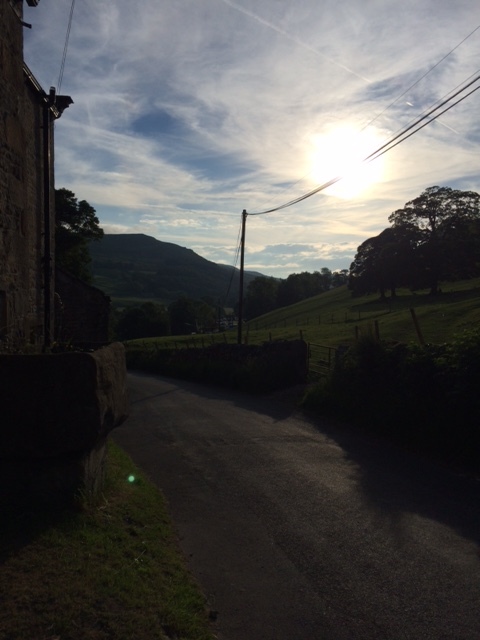 Positives: Staff on site were friendly & welcoming, it was a scenic riverside location, ideal for walks to suit all abilities (Burnsall, Bolton Abbey, Grassington), two good pubs in Appletreewick just a few minutes walk from site .. erm.. and the sun shone! Negatives: Despite being popular with families there were no facilities or space for children to play on site without invading other campers’ space, insufficient toilet/shower facilities for numbers crammed onto the site at weekends, free for all pitching with no respect for pitch boundaries and no staff enforcement of rules, animals allowed to roam freely on site – we saw one dog foul on the grass of an empty pitch while being walked by its owner and another licking from the clean water tap while its owner watched (! ), and finally the noise – not the expected countryside sounds but banging music. 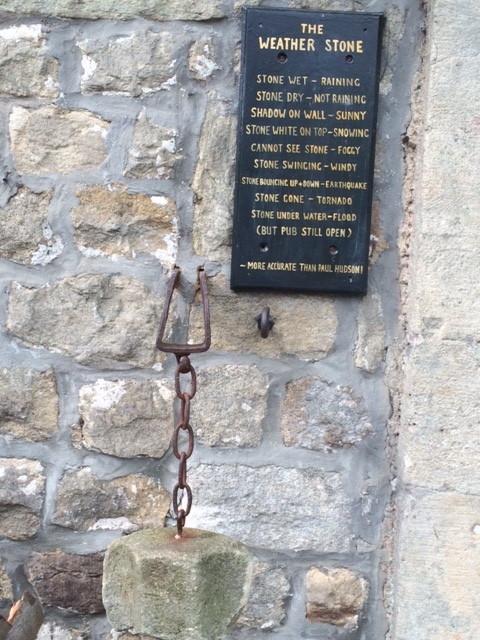 It appears there are site rules but nobody to ensure they’re adhered to at night. We were disappointed by the lack of consideration for customers in that respect. Of course we still enjoyed our break. 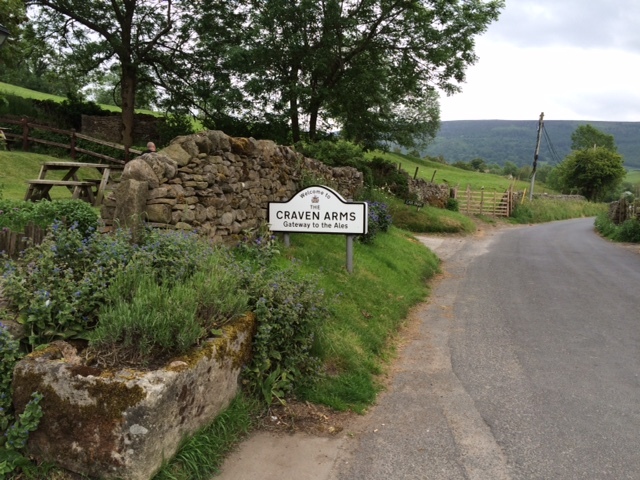 This included visiting the 2 pubs at Appletreewick, both just a 5-10 minute uphill walk away (The Craven Arms & The New Inn). 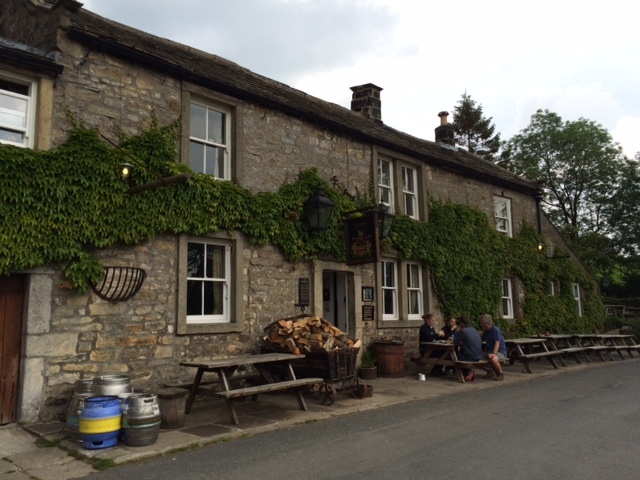 The Craven Arms was our favourite and by far the busiest, selling good ales and pub grub. 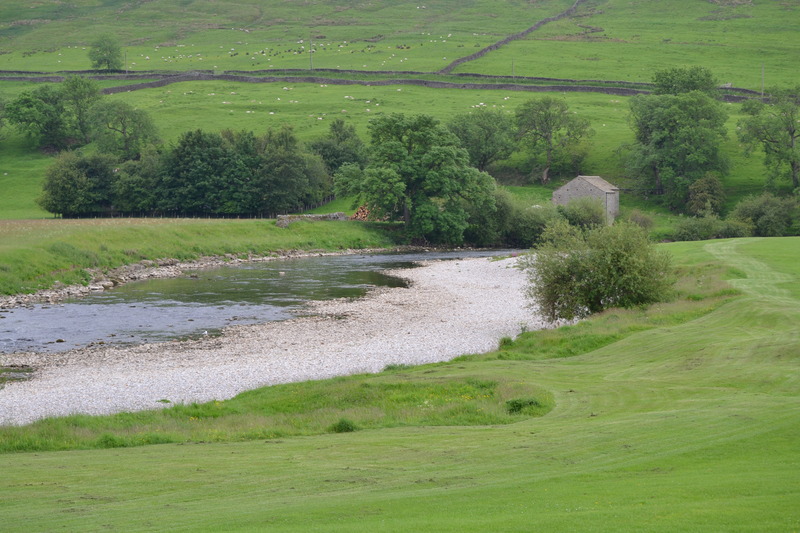 We also walked along the river bank into Burnsall (approx. 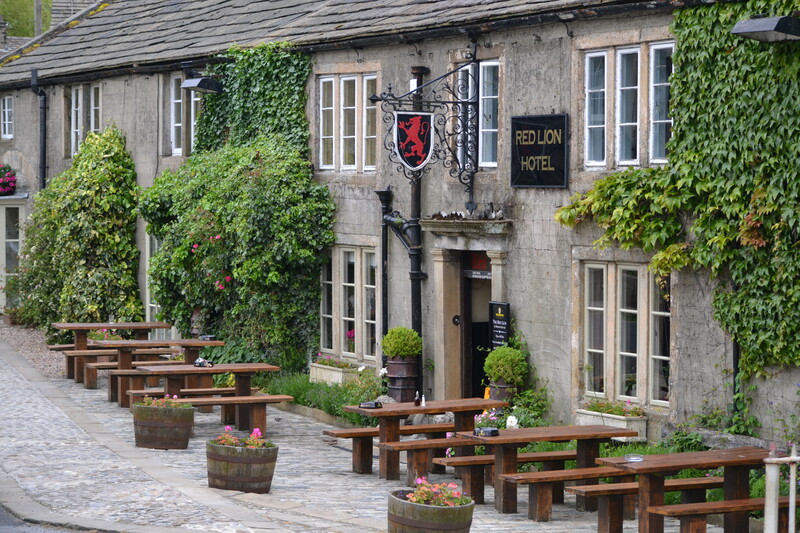 1.5 miles) and enjoyed some liquid refreshment at the 16th century Red Lion pub after meandering around the village. 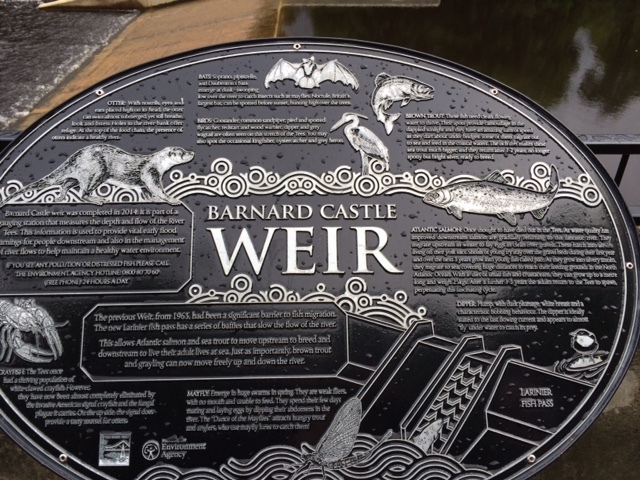 William Craven, who left the dale, was apprenticed to a London mercer and became mayor of London in 1611 used his newly created wealth to endow Burnsall Grammar School, restore the church and bear the cost of rebuilding the bridge. 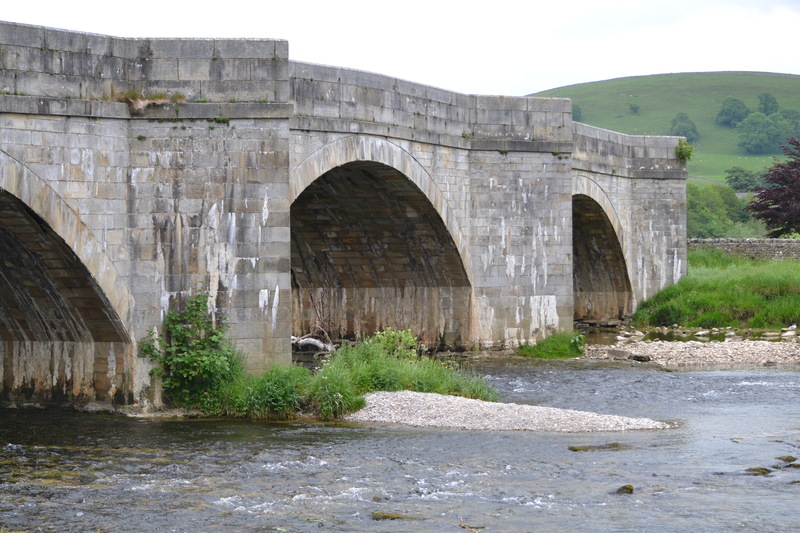 “a good bridge and all paved” was a description of Burnsall bridge in 1752 which again needed rebuilding in 1884 following severe flood damage. 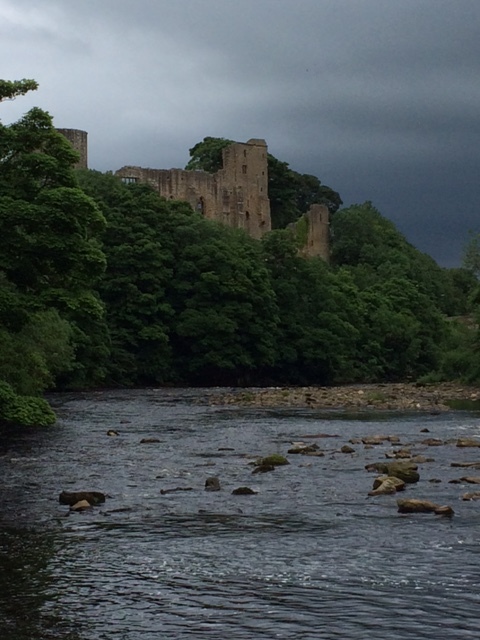 Our next adventure is to the Caravan Club Site at Barnard Castle, County Durham. Our first trip to this area which we’re really looking forward to.